Another song that I listened to on repeat in the days following her loss was “I Need Thee Every Hour”. This song, penned by Annie S. Hawks and Robert Lowry, is a plea for God to be near. 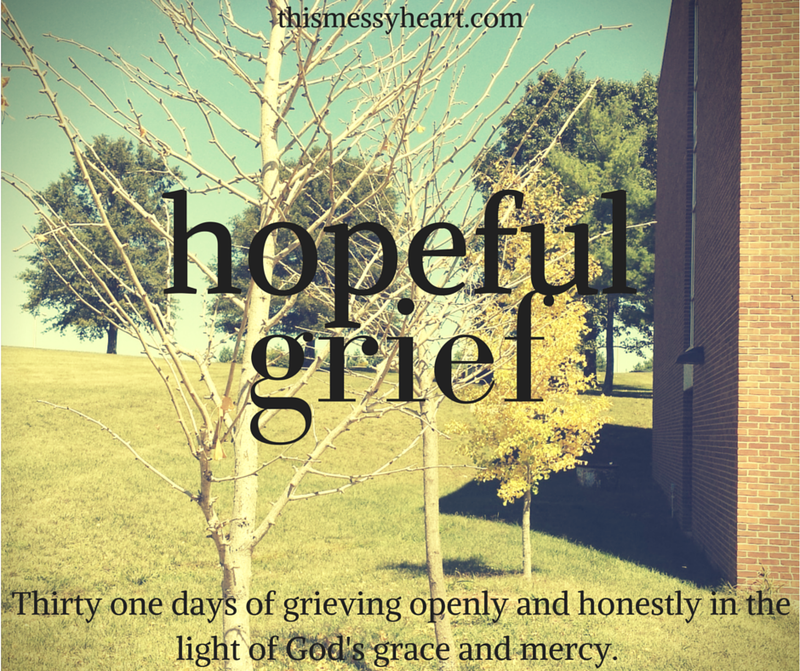 When my mind was so muddle by grief and pain, I could hardly come up with my own words to pray to ask God to be near. This song is a plea for the Lord to draw near; an expression of total dependence on God. When I had no words to express myself, I hid in this song. I cried as I listened to it over and over again. I am thankful that God is near when we need Him most, even when we don’t have the words to express our needs. I am thankful that we have music available to us when words fail to express our deep need for God, even in suffering. I am thankful that when I lived my life trying to just make it through the next ten minutes, that someone else had written such apt words and music with which I could worship. One of the things that has helped carry me through this loss is music. Music has always been a very special part of my life. When I’m scared, I sing. When I can’t sleep, I pray and praise God for who He is, often through going through songs that I’ve loved in my heart and in my head. When I’m scared of the days to come, I find great solace in music. I believe that God designs each of us to worship in a certain way. Some worship through painting or writing, and some through singing. I have been singing since I was a little girl, and hope that I never have to stop. I find the mingling of voices in a church choir to worship God a small glimpse into what I think Heaven will be like when we’re in God’s presence. There is something beautiful about singing with those that we love, each lending our own unique voices to a piece written by someone else and sung by many others in their native tongue in times of pain and in times of joy. “It is Well with my Soul” was written by Horatio Spafford. Spafford was a successful businessman in Chicago, and had a great deal of real estate holdings. After the loss of his son and the loss of his property holdings in the Great Chicago Fire, Spafford scheduled a European trip for his family to help them recover. He was delayed in his journey, and sent his wife and daughters ahead. He received news shortly thereafter that all of his daughters drowned on the journey, and that his wife alone survived. He wrote this powerful, hopeful song as his ship sailed over the very place where his daughters died. This song speaks to my heart. Spafford lost everything, and at the very site where his children drowned, he praised God. He praised God as he reminded his soul of God’s goodness. As I live daily without my own daughter, I am thankful for the reminder to my soul that all is well, because of who God is. I am thankful for the reminder that no matter the trial, God is with me. It truly is well with my soul. It took about ten hours from her delivery for me to be able to feel how sore my backside was. I’m convinced that I fractured my tailbone, because I still can’t sit on certain surfaces for too long, and it’s almost been nine weeks. While we rested, we ate, we talked, we cried. We laughed too, when we found out that epidurals take your ability to control certain bodily functions. We spoke with staff about what we would do with her body after all of the testing was done. We talked about how I was supposed to care for my body as I recovered from delivery. Husbandman’s boss told him about a local funeral home that did arrangements at no cost to families that lost children, and we worked on getting in touch with them. We made more decisions, about what tests to do or not do to try and figure out what caused Cora to die. I made all of these decisions in a haze, half unbelieving that this had happened. Sometimes, it still doesn’t feel real. Sometimes, it all still feels like a bad dream from which I will wake up and find that my little girl is still in my womb, safe. Instead, I know that she’s not with me, but that she’s safe with the Lord. My doctors said that I would be allowed to go home that day if I felt up to it, but because I was so numb from the epidural, we decided to stay until the next day so that I could gain control of my faculties a bit more before being without nurses and doctors. Mercifully, we stayed in the room in which she was delivered, instead of being sent to the “Mother and Babies” part of the hospital for recovery. We heard one baby cry the entire time we were in the hospital, and we all cried. We didn’t cry because we begrudged that baby it’s life or that mother her child, but because we knew that we would never hear Cora cry. That night, another nurse let me sleep as much as I could. I feel like I’m still catching up on sleep. When we woke up the next morning, we heard a decent amount of screaming from at least two other rooms, and assumed that a couple of other patients were having rough deliveries. My nurse that day was the same as the day before, and when things quieted down, we spent a decent amount of time figuring out how I was supposed to be taken care of, physically and mentally. When you lose a baby, you’re at even higher risk than normal for anxiety issues or post-partum depression. Husbandman was given a prescription for an anti-anxiety medicine that he still is keeping in his wallet in case I start to have anxiety issues. I’m still being watched for postpartum depression, which can show up six months after delivering a baby. My doctors said that I wasn’t allowed to think about going back to work until after I’d been seen for a two-week follow up appointment, and that it could take “a while” for us to get test results back. Spoiler: “a while”, it turns out, is up to three months. We’re still waiting. When we finally left, we loaded our bag and paperwork onto a pushcart, and me into a wheelchair. They pushed me to where Husbandman was picking up the car, and helped load the two of us, only the two of us, into the car. My nurse, the same one that I had the day of Cora’s birth, hugged me goodbye. As we drove home, we cried. We never ever thought that we would go home from the hospital after enduring labor and delivery with just the two of us. We went home with one less than expected. I didn’t get to think, “why are they letting me take the baby home? I’m not ready.” All I could do was cry and feel the emptiness that had taken up such a large part of our lives in such a short amount of time. God offered us redemption. As we drove home, even before we got to the interstate, the funeral director called us to tell us that he was on his way to pick up Cora’s body from the hospital. I felt so much relief to know that even though we didn’t get to bring her home with us, her body would not be left in the hospital alone. Her body would be in our small town with us one last time. This month has been the longest month of my life, and it’s not over yet. Twice last week I thought it was already September, and panicked because I was sure that we had forgotten to pay our mortgage (due on the first of the month). I’m just now at the point where I’m almost comfortable leaving the house to go to the store or a movie with Husband-Man, so I haven’t had the time markers of work, church, or lunch breaks. Days have passed with me not bothering to figure out what number the calendar gives them, and for that fuzzy concept of time, I’m thankful. I have spent the majority of this month purposefully not looking towards tomorrow. When we got the news that Cora had died, time stood still. As we’ve gone through the process of mentally trying to grasp the fact that our little girl is gone, we have measured time in prayers, focusing on making it through only the next five or ten minutes. We have spent a month that began with us planning for her arrival and picking out nursery colors driving to the hospital and doctor’s offices, enduring countless tests, delivering her, hearing the silence when her body entered the world, meeting with the funeral director, coming home to a house that we bought with her in mind, but most of all, clinging to the promise that God is still good. God is good, even when I cannot understand what He is doing. God is good, because we had her for seven months, and the first face that she saw was His. 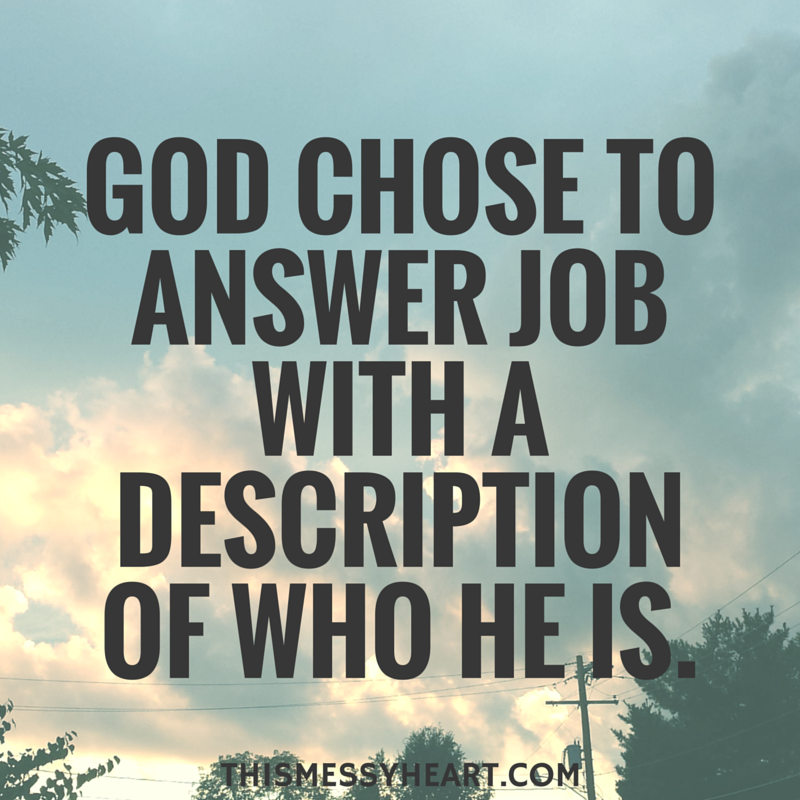 God is good, because of who He is. I am thankful for you helping remind us of His goodness, through your prayers, checking in on a us, feeding us, and keeping up with us in general. I’m learning every day how to trust God for enough strength to make it through today. As we continue to learn how to be in the “normal” world after we have been so changed by this experience, we appreciate your continued prayers, and your continued reading. I’m still writing, even if I can’t share everything that I’ve written. My hope is that through writing, I can encourage you to continue to seek God in whatever circumstances you find yourself. My hope is that through writing, my Cora’s short life can honor Him.